Deutsche Bank’s departing co-CEO can follow so many paths. John Thain downsized. Bob Diamond went to Africa. Huw Jenkins and Alan Schwartz took No. 2 roles elsewhere. John Mack got techie. Jes Staley turned hedgie. And then there’s the Stan O’Neal and Ken Lewis option. Bow out. Deutsche Bank announced on June 7 that John Cryan, a member of its supervisory board since 2013, has been appointed co-chief executive, as of July 1. Anshu Jain, one of the German lender’s two current CEOs, will leave his position at the end of June. Co-CEO Juergen Fitschen will leave after the 2016 annual general meeting, leaving Cryan as sole CEO. 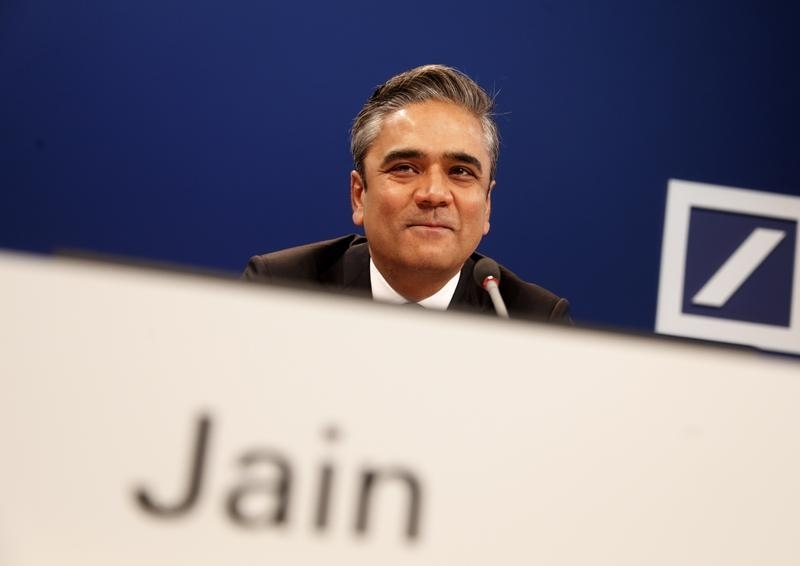 Deutsche Bank said its supervisory board had asked Jain to remain a consultant until January 2016. His contract had been due to run until March 31, 2017. The board also asked Fitschen to remain until May 19, 2016 to smooth the transition. Deutsche shares were around 4.7 percent higher at 3 p.m. GMT on June 8.